Composite photo (right) shows Consul General Paul Raymund Cortes (left) with Allan Michael Bautista (center) and Barney Almazar. DUBAI – Filipino expatriates in the UAE now have quicker access to legal advice and consular help with the opening of the first Kabayan Corner in the UAE. 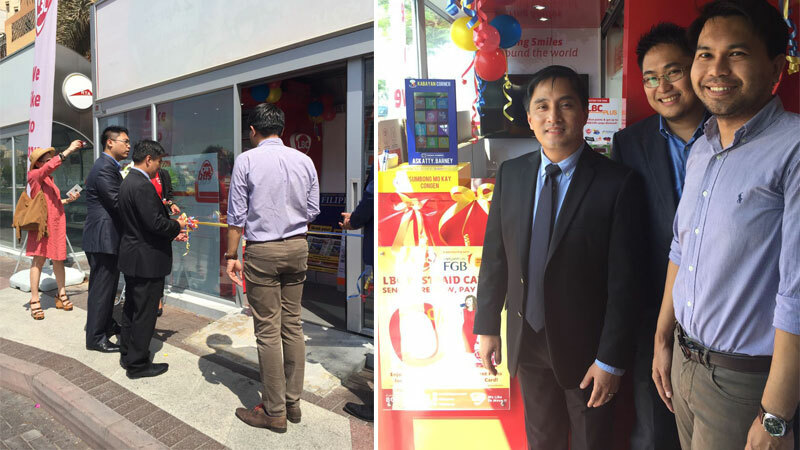 The Kabayan Corner was opened to the public inside the LBC Smart Shelter located in Dubai’s Al Rigga area on Tuesday (September 27). The interactive device is composed of a tablet that contains information about UAE laws and legal advice from Gulf Law director Barney Almazar, as well as a drop box for Filipinos to raise their concerns with the Philippine Consulate General. More Kabayan Corner projects will be opened in Satwa, Karama and Deira, Cortes said.